At Relax, we are committed to creating a calming massage experience for each of our clients. Whether you just need to unwind with a relaxing massage after a long day, or you're looking for therapeutic pain relief massage, or sports massage, our studio has something for you. Our experienced therapists are highly trained and expertly skilled in a wide variety of techniques. We offer Lomi Lomi, a massage specially designed to relax strained muscles and heal the spirit. Relax and Therapy Massage uses a combination of techniques especially suited to each patient's needs to provide holistic pain relief. Our unique Four Hands Massage utilizes two therapists working in tandem to give you the most relaxing massage possible. At Relax, we understand that your time is valuable. Our clients won't waste time sitting in the waiting room because our staff is always on time with each appointment. We also offer free parking. 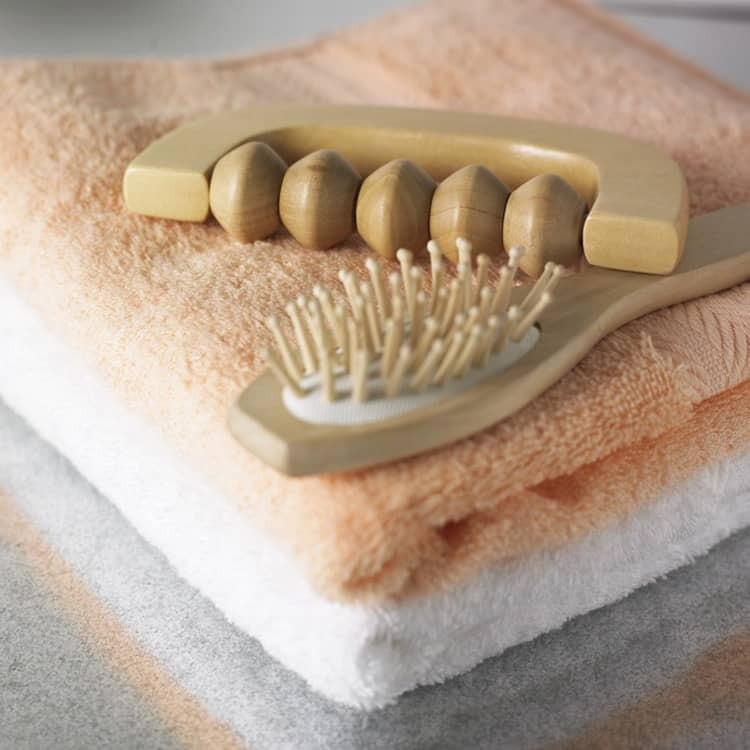 Schedule your appointment online or by phone today, and let Relax give you the treatment you deserve. Do you need an idea for a unique gift for someone special you love? Don't worry because you are in the right place. We have wonderful and amazing gifts for all occasions. Why don't you surprise someone with a massage for their Birthday, Valentine's Day, Women's Day, Mother's Day or without any special occasion? Do not hesitate to contact us and we will help you to choose the right massage for your loved ones. You can change your mind at any time by clicking the unsubscribe link in the footer of any email you receive from us, or by contacting us at info@relaxglasgow.co.uk. We will treat your information with respect. For more information about our privacy practices please visit our website. By clicking below, you agree that we may process your information in accordance with these terms. Meet Carol our talented and qualified Physiotherapist. Carol qualified at Medical University in Lublin - Poland. She specializes in musculoskeletal disorders - mostly back, neck and shoulders problems. 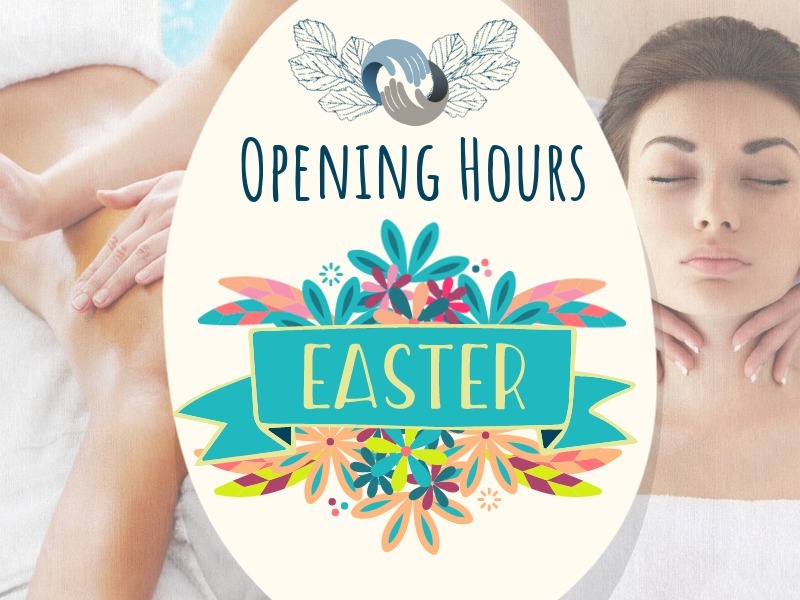 Carol offers: Swedish massage Relaxation massage Aromatherapy massage Sport massage Hot Oil massage Candle massage Anti-cellulite massage Honey massage As a physiotherapist, Carol knows the best how to reduce your pain or how to improve your physical condition. Ask her for advice - Carol enjoys to give a tip how to adapt your workplace and avoid postural disorders. A unique touch, incredible composure and permanent attention to details - that is what Carol's patients get. >>>> CURRENTLY ON MATERNITY LEAVE <<<< Meet Kate, one of our talented massage therapists who specialize in the following fields: Swedish Massage Therapeutic Massage Indian Head Massage Lomi Lomi Hawaii Massage Deep Tissue Massage Sports Massage Natural Lift Facial Massage Lymphatic Drainage (anti-cellulite) Contralateral Massage Aromatherapy Massage Relaxation Massage Chinese Cupping Massage Candle Massage Chocolate Massage Hot-Stone Therapy Hot Oil Massage Four Hands Massage Kate has 9 years of experience in massage therapy. She gained experience and practice in hospitals wards of rehabilitation, neurology, orthopaedics and geriatrics. She is an expert in pain units, such as: back pain, muscle contractures, post-traumatic, strokes, Sciatica, Improving joint mobility. Kate is a socialite person who enjoys meeting new people. Additionally, she approaches each patient individually which is key. Her life motto is: EVERYONE IS DIFFERENT. 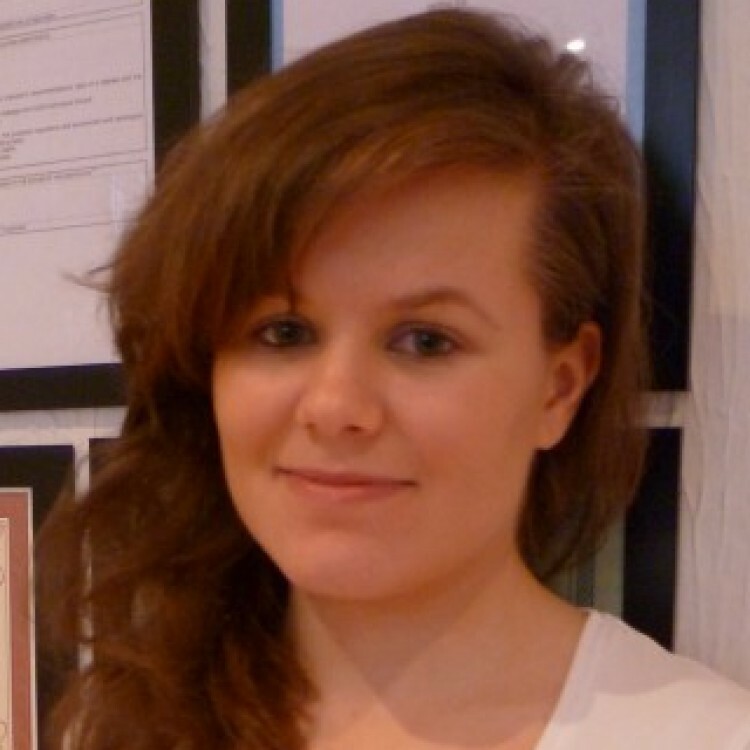 Meet Caroline our talented massage therapist. Although Caroline gained a Higher National Diploma in Beauty Therapy, massage was always her main area of interest. The passion for it leads her to improve in this field and she became a specialist in: Swedish Massage Aromatherapy Massage Hot Oil Massage Candle Massage Hot Stones Massage Lomi Lomi Massage Reflexology Indian Head Massage Natural Lift Face Massage Caroline is a nice and friendly person. She likes working with clients and solve their health concerns. She is professional and organised. As massage is her passion she puts her heart and soul into every treatment making it an unforgettable experience. 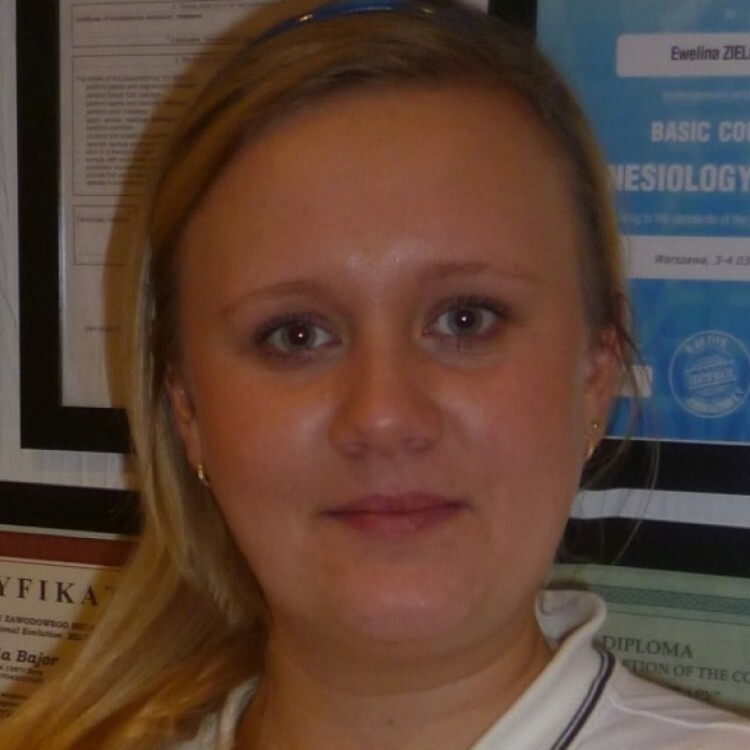 Boshena is one of our qualified therapists who holds a degree as a Master of Physiotherapy. 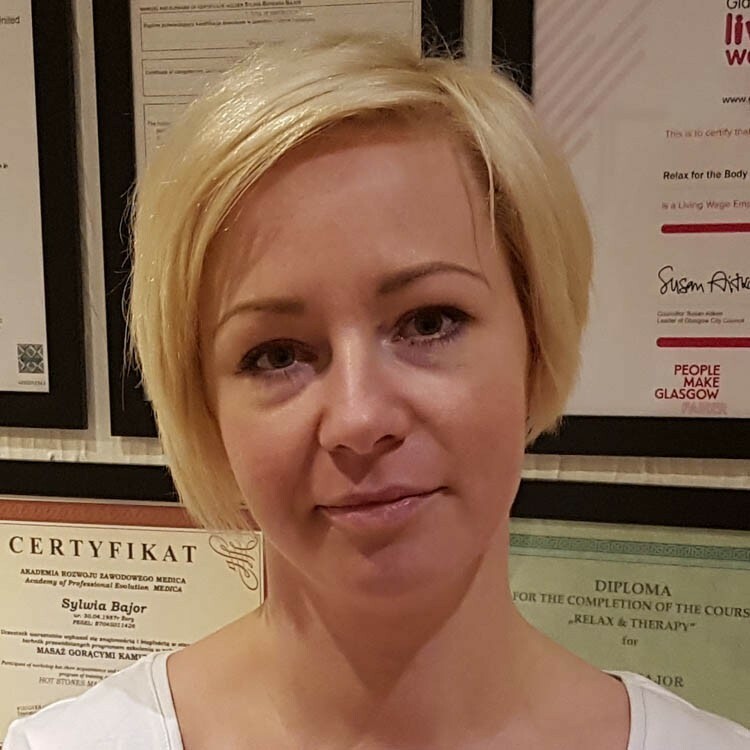 She specializes in: Swedish Massage Aromatherapy Massage Therapeutic Massage Hot Oil Massage Lymphatic Drainage Relaxation Massage Hot Stone Massage Temporomandibular Joint Massage Boshena graduated from Jagiellonian Medical University where she earned her Master's Degree of Physiotherapy. She gained her experience as a therapist by working in hospitals and rehabilitation centres in France and Poland. She has worked in various fields, including neurology, rheumatology, and her favourite, orthopaedics. These experiences provided her with a number of skills and abilities. It also made her familiar with classic and relaxation massage, which she specializes in. Boshena is a pleasant, energetic, and approachable person who loves working with people and helping them feel better. She welcomes her patients with a smile and believes that she may resolve their problems. She enjoys serving patients and clients and helping them with their enquiries. 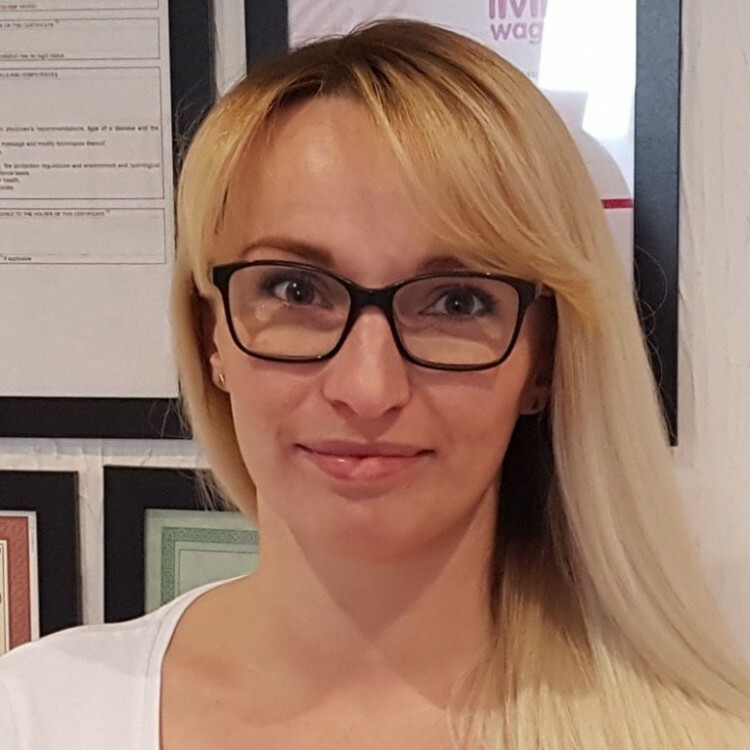 Boshena believes that every client deserves to be treated in an individual way so she tries to understand each patient and give maximal support, attention and the best treatment to every individual. Because physiotherapy is Boshena's passion, she's still expanding her knowledge and furthering her career. Her priority is to make sure that all of the techniques and methods she uses relieve, relax, and bring people back to health. Meet Sylvia, one of our talented massage therapists who specialize in the following fields: Swedish Massage Therapeutic Massage Indian Head Massage Natural Lift Facial Massage Lymphatic Drainage Contralateral Massage Aromatherapy Massage Relaxation Massage Chinese Cupping Massage Candle Massage Chocolate Massage Hot-Stone Therapy Hot Oil Massage Four Hands Massage Relax & Therapy Massage Sylvia has 10 years of experience practising massage therapy. She has worked in various settings, including public rehabilitation clinics and a school for children with cerebral palsy. She has also gained experience working in a rehabilitation ward and a hospital for neurology. She's treated a wide range of conditions including back pain, neck contracture, post-stroke paresis and paralysis, and infant torticollis. Treatments she performs are effective to increase mobility in joints and help alleviate joint pain and symptoms caused by multiple sclerosis. They also help to speed recovery from joint sprains, dislocations, and bone fractures. Sylvia enjoys meeting and assisting new people. She knows that your health is your most important asset and believes that every client deserves to be treated with respect and have their opinions be heard. She values the unique relationship between herself and her clients, and her main objective is to understand each patient so that she can give them the advice and support that leads to the best treatment. As a sensitive person, she prepares each treatment with care and understanding, tailoring the massage to bring the greatest amount of relaxation and healing to the individual. To do that, she knows how important it is that she focuses all of her attention on the client. She fully concentrates on the task at hand. 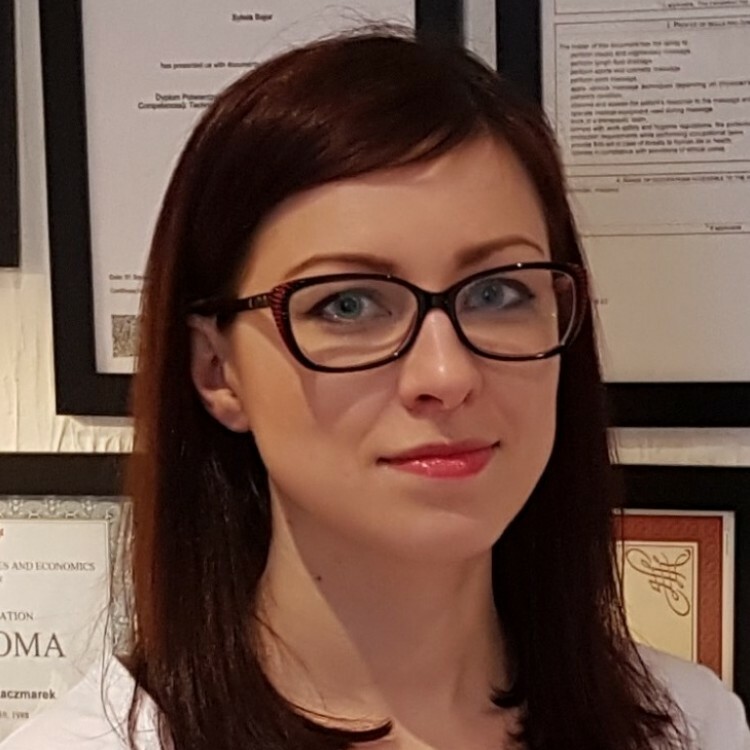 Camilla is one of our talented Physiotherapist / Massage Therapist She graduated in Warsaw where she was practising in various fields including orthopaedics, neurology and rheumatology. 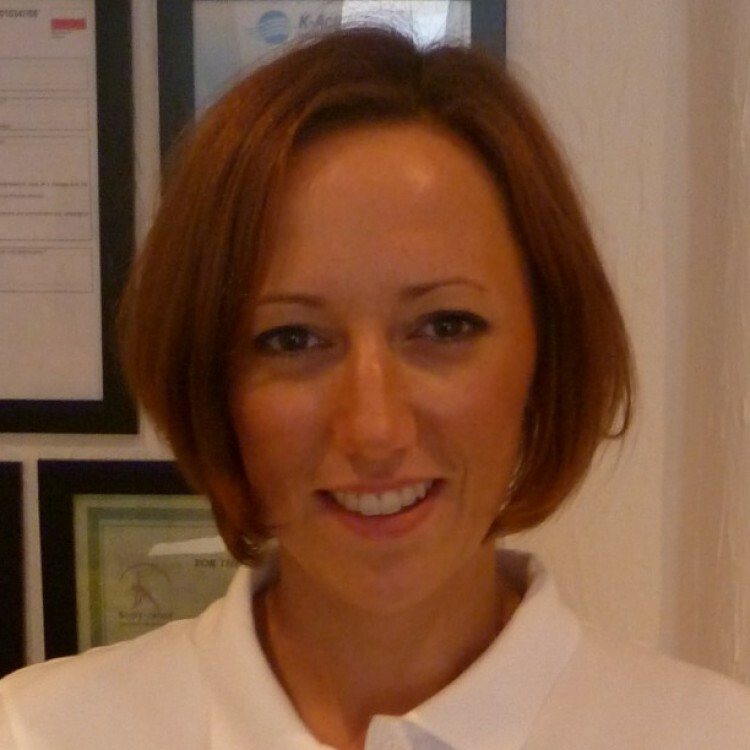 Camilla is passionate about physiotherapy, especially in sports injuries. She gained lots of experience in this field by working in private clinics. Camilla is highly skilled in many techniques and massages such as: Swedish Massage Relaxation Massage Aromatherapy Massage Hot Oil Massage Pregnancy Massage Deep Tissue Massage Sports Massage Lomi Lomi Massage Lymphatic drainage Natural Lift Face Massage Anti- Cellulite Massage She is a nice and professional person and she loves to help you with your recovery and regeneration or to prepare your body for a physical effort. 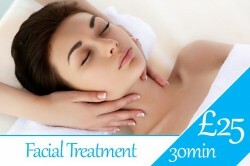 Visit our studio and check it out - Camilla will give you the treatment you deserve. That's her passion!! When submitting this enquiry form you are agreeing to Relax for The Body and Soul Ltd storing your personal data for company use only. We will not pass your details on to any third party without permission.